Each year our season will culminate with our National Tournament. This tournament is generally 8-10 days in length, and takes place in late June/early July. The tournament is composed of qualified teams from around the country. Each team participating in this tournament must have qualified at one of our Regional Qualifying tournaments. 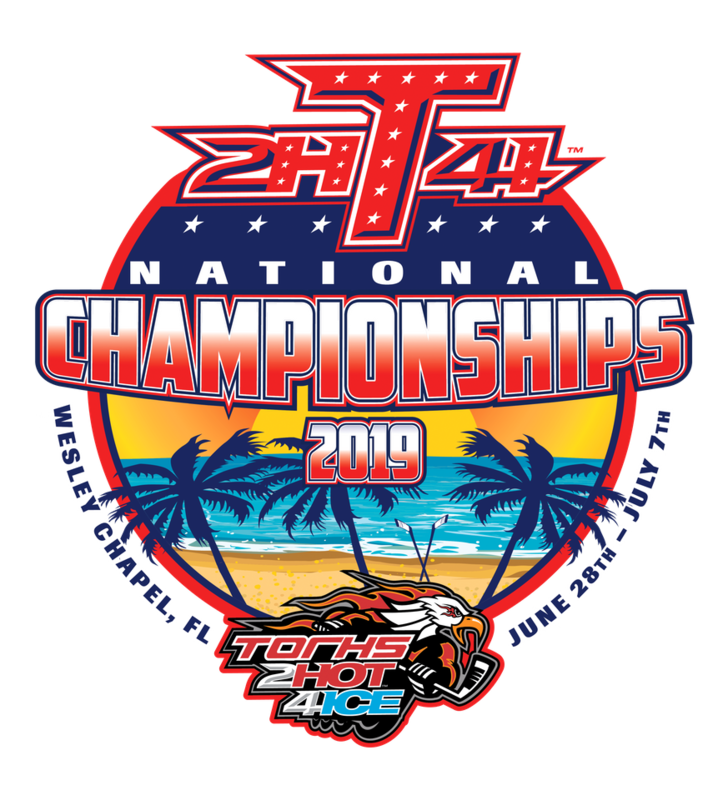 In circumstances where we may not have offered a particular division at a Regional Tournament, interested teams can request a bid to our National Tournament by contacting our office in writing at office@torhs2hot4ice.com. The following divisions are open to anyone interested in competing: 6u, 8u, 21u, Division 1, Women, Masters, and Adult. As a reminder, we will once again be enforcing the Stay-To-Play policy, which require out of town teams to stay at one of our sponsored hotels. We have partnered with Pse Event Housing to provide attendees/groups with a variety of hotels in every price level, and all of our hotels are conveniently located to Florida Hospital Center Ice. If your team chooses to stay at a hotel that is not one of our sponsored hotels, your entry fee will include an additional $300 Stay-To-Play fee. No exceptions! *Pricing above is the Stay-To-Play rate. Teams that choose to stay at a hotel that is not one of our sponsored hotels, your entry fee will include an additional $300 Stay-To-Play fee. Local teams automatically qualify for the Stay-To-Play rate. Full scale emceed award ceremonies will be held on the rink directly following the completion of the Championship game in each division. We will present unique National Games Gold, Silver, and Bronze medals to the 1st, 2nd, and 3rd place teams in each division. In addition, each of those teams will be presented with the TORHS 2Hot4Ice Cup, which will display their teams finish in the tournament. Top Scorer: Awarded to the player in each division with the most points in round robin play. Top Dishman: Awarded to the player in each division with the most assists in round robin play. *In the event that we split the divisions at the start of tournament play, we will present a separate group of individual awards to players in each division.